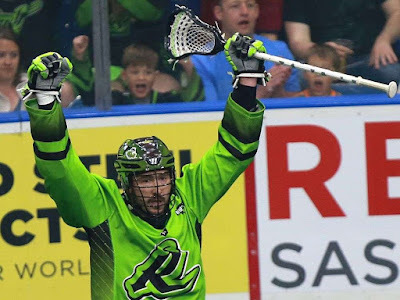 Reigning National Lacrosse League MVP Mark Matthews, fellow offensive threat Ryan Keenan, and fleet-footed defenceman Matt Hossack have all agreed to new three-year contracts, while second-year pro Nick Finlay has agreed to a new one-year contract with the defending league-champion Saskatchewan Rush. General Manager/Head Coach Derek Keenan announced the signings prior to this upcoming first weekend of training camp, in Toronto. “As much as our offensive group plays so well together and certainly has a lot of chemistry, Mark is still the straw that stirs the drink,” said Keenan. “He’s the MVP of the league and our offensive leader. Matthews is coming off one of the most dominant offensive campaigns in league history as he set a new single-season record by notching 84 assists. He also set new franchise high marks with 116 points and 33 power-play assists while adding 32 goals. During the Rush’s 18-game regular season, the Oshawa, Ont., product recorded an 11-point outing against Vancouver, back-to-back nine-point efforts, three seven-point games, and a club record 13-point performance (6 goals, 7 assists) against New England. 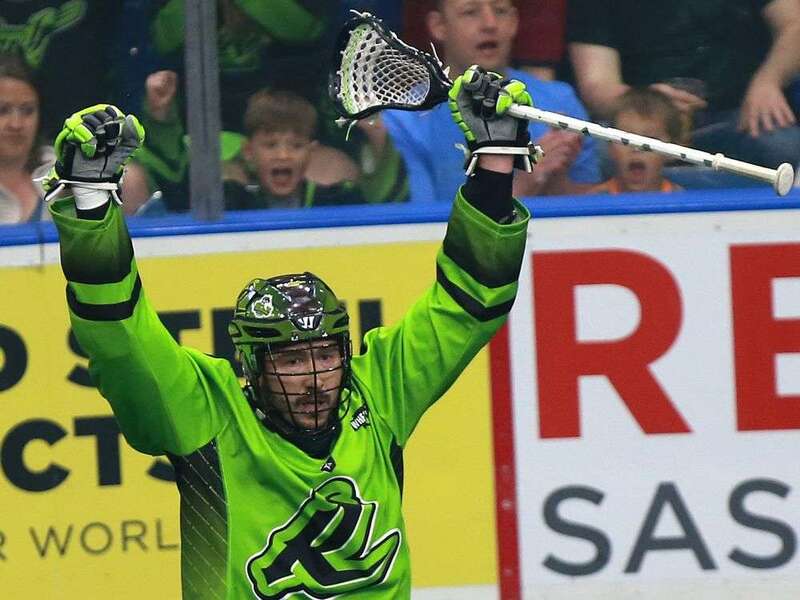 Matthews was an integral part of the Rush’s march to their third NLL title in the past four years as he completed last spring’s playoffs with 22 points, including eight assists in Saskatchewan’s series-clinching victory over Rochester in Game of the NLL Cup Final. Drafted first overall in 2012 out of Denver University, Matthews has become the NLL’s most-feared offensive threat since winning the Rookie of the Year award in 2013. Matthews holds every Rush franchise scoring record and has totaled 600 points (234 goals, 366 assists) in 106 regular-season games. Now a four-time First Team All-Pro. Matthews has scored over 100 points in four straight seasons and became a member of the exclusive 50/100 Club when he posted 53 goals and 115 points in 2015. He has also led the NLL in playoff scoring three times and was named playoff MVP in 2015. In 21 playoff games, Matthews has registered 39 goals and 74 assists for 113 points. Like Matthews, Keenan was also a former number-one overall pick, coming to the Rush in the 2016 draft out of Quinnipiac University. Also from Oshawa, Keenan made tremendous strides last season coming off a solid rookie campaign. “I’m extremely excited to be back with the Rush for three more years,” said Keenan. “It’s a privilege to be a part of this winning culture that has been built, and there’s no place I’d rather play in or fans I’d rather play in front of. He doubled his goal output to 26, including 14 power-play markers which tied him for third-most alongside teammates Robert Church and Ben McIntosh, and he burst upwards to career-highs of 47 assists and 73 points. Along the way, Keenan posted his first career four-goal game against Colorado and had a pair of seven-point outings. Keenan was one of the Rush’s top playoff performers as well in 2018 as he netted eight goals in helping the Rush outlast Rochester in the NLL Cup Final. Hossack, who hails from Port Perry, Ont., was the Rush’s second-round pick (14th overall) in the 2016 draft and immediately paid dividends. Hossack finished his rookie season with a perfect shooting percentage – five goals on five shots – and this past season, he counted three goals, including a game-winner against Colorado, and 10 points. He contributed two assists in the Rush’s victory over Rochester in Game 3 of the NLL Cup Final. Finlay was the Rush’s second-round pick (16th overall) in the 2017 draft. The Orleans, Ont., native appeared in three games during his rookie season and picked up one and one assist along with eight loose ball scoops. He is expected to have a much larger role this season with the temporary departure of veteran defencemen Ryan Dilks and Jeff Cornwall.